Good Night New York City features the Freedom Tower, the Statue of Liberty, United Nations, Empire State Building, Bronx Zoo, Coney Island, Brooklyn Bridge, American Museum of Natural History, Broadway, skating at Rockefeller Center, Times Square, New York City firefighters and police, Staten Island Ferry, hotdog carts, and more. 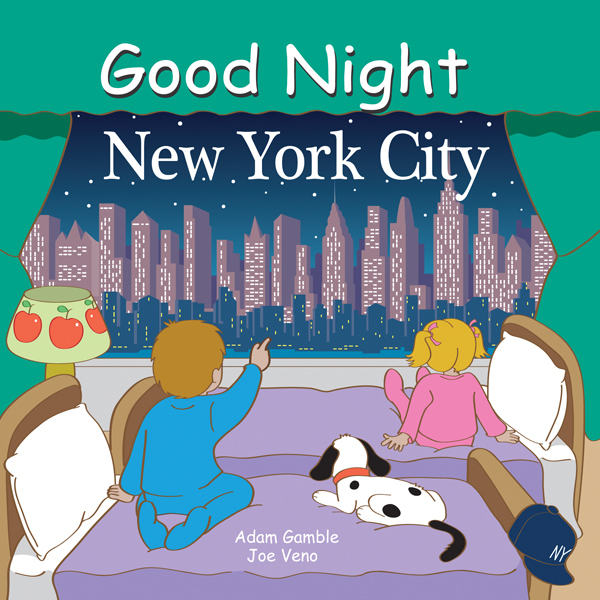 The exciting and enriching board book captures the true essence of New York City. Young readers will get a thrilling cab ride around the Big Apple as they discover the most famous sights and attractions this dynamic city has to offer.